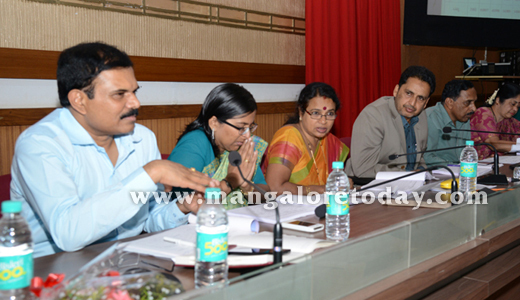 Mangaluru, Feb 27, 2015: At a review meeting of development works of the department, Minister for Women and Child Development Umashree, on Wednesday, directed departmet of women and child welfare officials to take chalk out programmes to create awareness among children on child marriages. She said child marriages are still practiced in the district. Awareness programmes should be conducted for children so that the children can oppose it and inform the department concerned, whenever they come across such incidents. There is a need for the departments of women and child welfare, police and education to work in coordination towards this, she said. 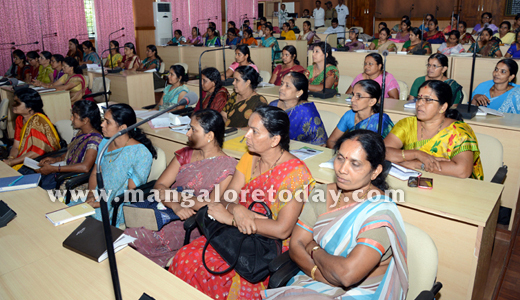 Women and child welfare department assistant director Sundar Poojary said that about 57 child marriages have been prevented by the department. On male- female ratio in the district, DK DC A B Ibrahim said in 1980, there were 1,060 women for 1,000 men in the district whereas today, there are 1,020 women for 1,000 men. 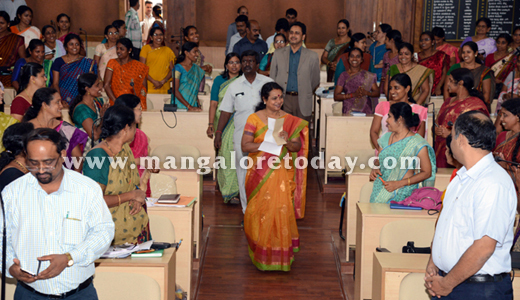 Minister Umashree said though the male female ratio is better in Dakshina Kannada compared to other districts, the female ratio has considerably fallen. This indicates that female feoticides still persists. 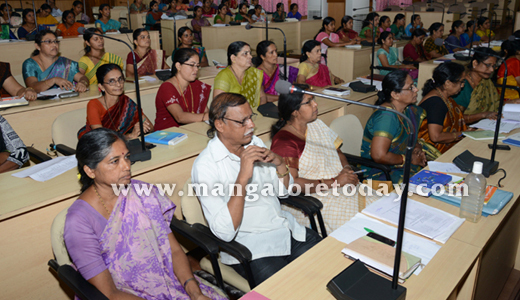 She directed the District Health officer to conduct raids in hospitals as a preventive. At the meeting, minister Umashree sought the list of phone numbers of parents of children going to anganwadi and randomly rang up a parent and spoke to him. The parent said that the packet of rice provided at the anganwadi contained worms. The minister took to task the officials and directed the department deputy director Gurtrude Veigas to take immediate action against the MFPC whenever the food is found contaminated. The deputy director said that a notice has already been served in this regard. Talking laptops have been provided to 1,000 visually challenged children and children with multiple disabilities, by the department on experimental basis and will be provided to all such children in future, the minister assured. She meanwhile directed the deputy commissioner to strictly deduct three percent from MLA’s fund towards the welfare of specially abled. Chidren’s Train : Umashree said funds towards children’s train Balamangala Express at Kadri Park, has been released against the proposal by District Bal Bhavan Society and fund of Rs 37.54 lakh will reach within two weeks. The Department of Women and Child Welfare, Deputy Director Gurtude Veigas said that the old train was condemned and stopped operating since three years. 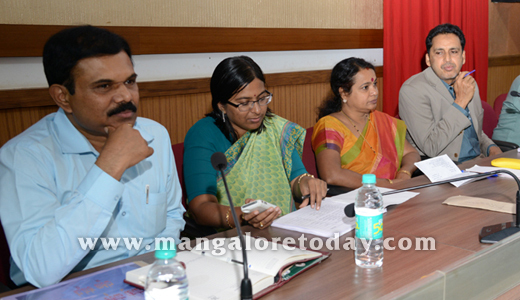 DC A B Ibrahim, ZP CEO Thulsi Maddineni, Specially abled and senior citizen welfare department deputy director Jayanna, Women and Child welfare department Joint Director Bindu, Women’s Development Corporation MD K N Vijayprakash, COPDs and Supervisors were present. Re transgenders : Speaking to media on the sidelines, Minister Umashree on the policy for transgenders, said a committee has been set up to frame a policy for transgenders and a proposal has been submitted by the committee. She has sought the suggestions from other departments in this regard, the minister said and added that the government is committed to frame the policy so as to bring transgenders to the mainstream of society. Responding to a query she directed the Depuy Commissioner to take action towards making suitable arrangements towards improving the facilities such as separate counseling room and lady PSI at the treatment centre meant for women subject to atrocities. The centre is established at Lady Goschen hospital. However, no matter was taken up about the huge number of ’Aged and sick’ facing many difficulties which can be eradicated, this is a crying need that is ignored seriously. 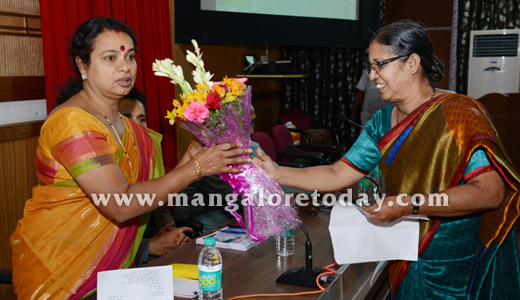 She meanwhile said that she will sanction grants towards District Rangamandira as soon as she receives the proposal. The DC said that the proposal has been sent to the Finance department.